The Aqueduct of Segovia is one of Segovia’s important symbols, it can also be seen in the Segovia city’s coat of arms. 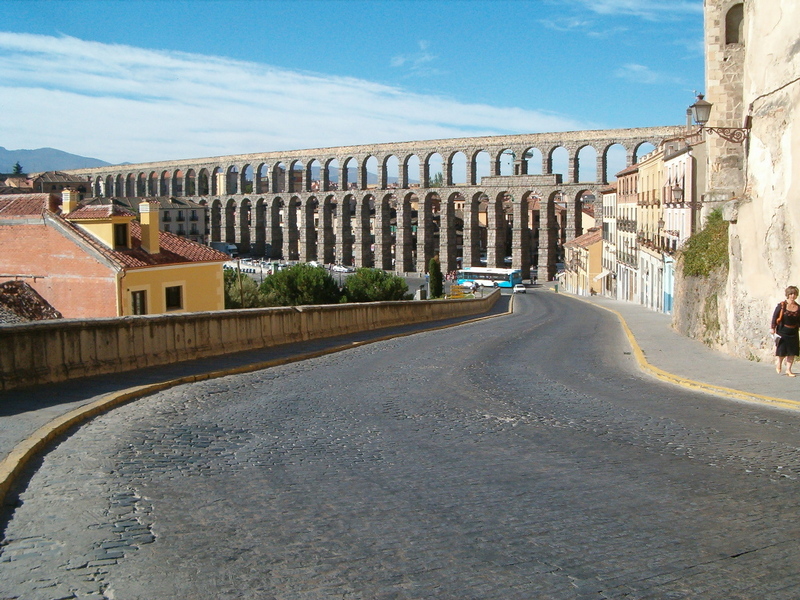 The aqueducts are located on the Iberian Peninsula and is a part of UNESCO World Heritage Site. The aqueducts were built by the Romans, the construction dates are not known exactly. Researchers say that the aqueducts were built in between 1st and 2nd centuries CE in the period of Roman Emperors Nerva or Vespasian. The aqueducts served as the water source for city of Segovia. It transported water from the River Fuente Fria, 17 kilometers from the city. The water traveled about 15 kilometers before entering into the city and later it was stored in a massive tank known as “Big House”. At this period the Segovia Alcazar was built. The highest point in the aqueduct measures a maximum height of 28.5 meters where 3 meters comprises of the foundation. It features 44 double arches, 75 single arches and another four single arches with a total of 167 arches. The first block of the aqueducts features 36 sharp arches which were restored in the 15th century. It features two levels of arches that are simply ornamented and gives support to the structure. The upper level arches features two levels and these arches are a bit short with 5.1 meters wide compared to the lower level arches. The upper level arches feature the channels for transferring water. The aqueducts are a major architectural landmark in the city. It continues to function to the present day, in good condition and well preserved.